An international group of scientists led by researchers from the Perelman School of Medicine at the University of Pennsylvania has identified mutant traits in mice for 52 human disease genes. The new study—“High-throughput discovery of novel developmental phenotypes”—which was published recently in Nature, significantly contributes to the understanding of the genetic basis for many human diseases, including cardiovascular defects, spina bifida, and metabolic disorders. 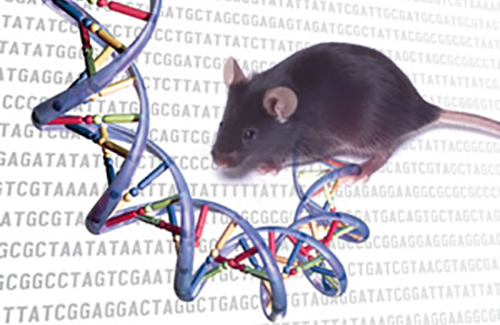 The work in the new study was part of the International Mouse Phenotyping Consortium (IMPC), which is generating and assessing the phenotypes of mutations for all of the protein-coding genes in the mouse genome. The Consortium aims to discover new functions for the roughly 20,000 genes mice share with humans and will make all of the mouse strains available, in order to provide a platform for improving our understanding of the mechanisms associated with human disease. The IMPC is attempting to generate and phenotypically characterize 5,000 knockout mouse lines, with the results of the new study for the first 1,751 unique gene knockouts being reported. These knockout lines include 410 genes, which when mutated on both the maternal and paternal copy, are lethal to the mice and an additional 198 for which fewer than half of the expected number of mutants were identified. Interestingly, this study is distinctive by its use of high-throughput imaging with automated analysis to determine novel features that would have easily been missed using older technology. Employing a new, standardized phenotyping pipeline and mouse strains of a single specific genetic background called C57BL/6N, the researchers established both the time of embryo death and the nature of the lethal phenotypes for these lines, discovering many novel phenotypes that shed light on the function of these genes. Incorporation of the high-resolution, three-dimensional imaging and automated, computational analysis of the images allowed the team to rapidly gather detailed data, enabling the discovery of new phenotypes at an unprecedented scale. Additionally, in collaboration with the Exome Aggregation Consortium, another large, international DNA-sequencing initiative, the IMPC showed that human versions of mouse essential genes are significantly depleted for harmful mutations in humans. “As a result, we surmised that these essential genes are strong candidates for undiagnosed and rare diseases,” noted co-lead author Xiao Ji, a doctoral student in the Dr. Bucan’s laboratory. The IMPC calculated that only a small percentage of genes are studied by the broad research community. From this, the systematic approach to phenotyping and unrestricted access to data and mouse models provided by the IMPC promises to fill this vast gap in understanding mammalian gene function. All data and images generated by the project are available to researchers, disseminated via an open-source web portal. The mouse models created are also available to other researchers who may be investigating particular pathways or disease phenotypes.